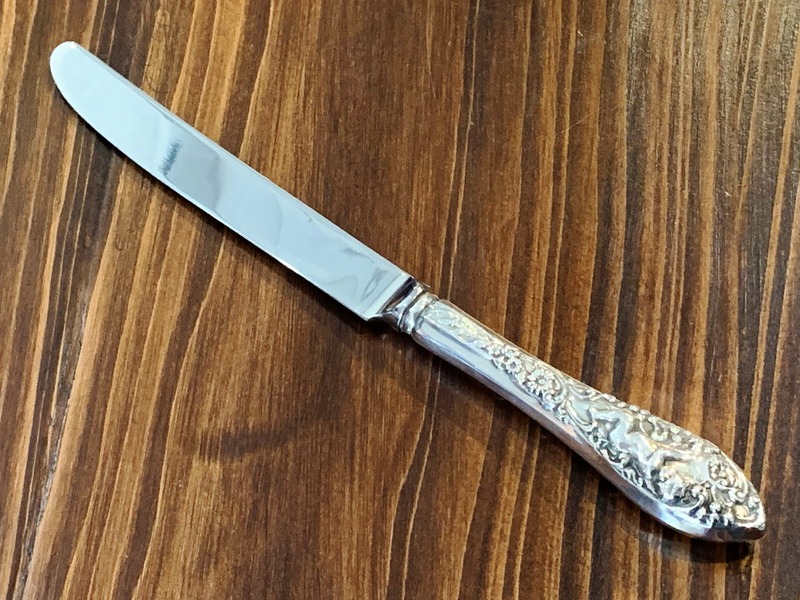 Dine in style with this stunning sterling silver dinner knife by Dominick & Haff. 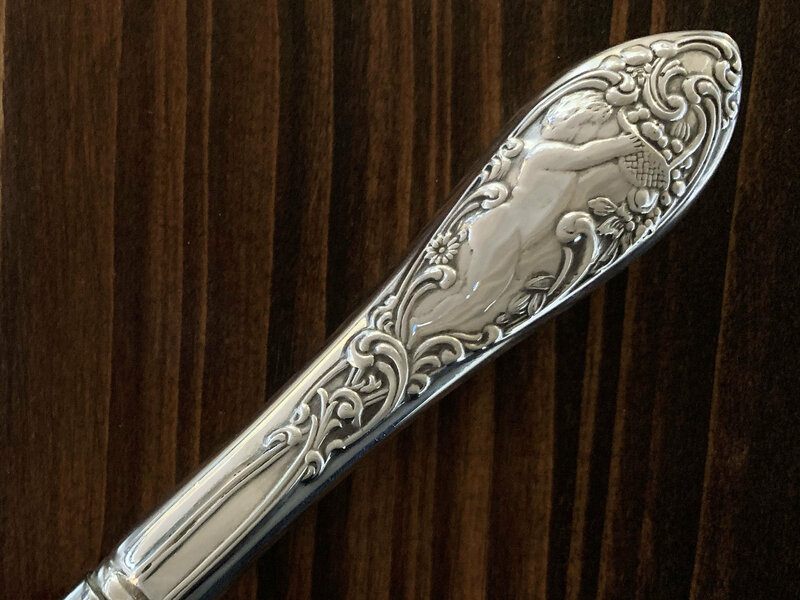 Designed in 1900, the Labors of Cupid pattern features elegant scrollwork and vegetation encircling Cupid in action, each piece depicting a unique scene representative of its function. 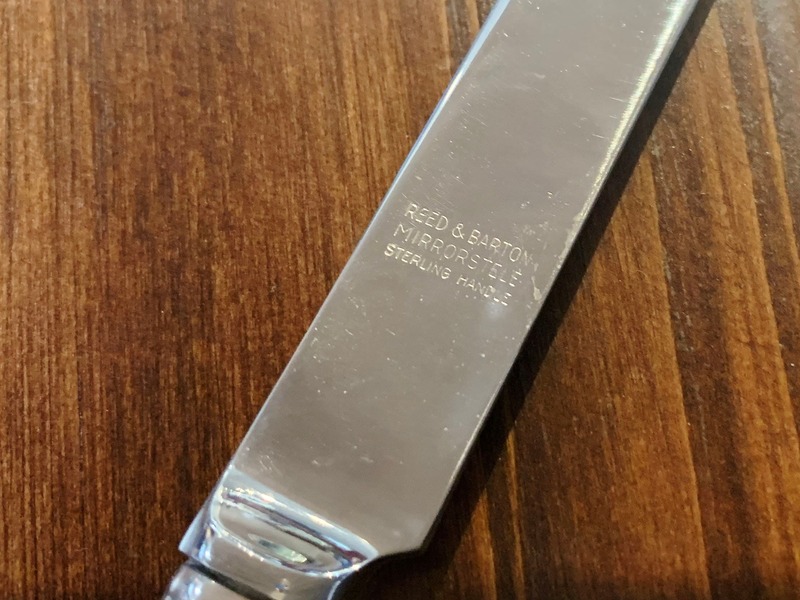 While the pattern was created in 1900, this knife was manufactured in the 1990's by Reed & Barton. Originally William Gale & Son, Dominick and Haff was founded in 1821 in New York. The company was first known for their vinaigrettes, chatelaines and small silverwares. Their factory relocated following a disastrous fire and the company began to produce a wider variety of silver goods. In 1872, the company named formally changed to Dominick & Haff. 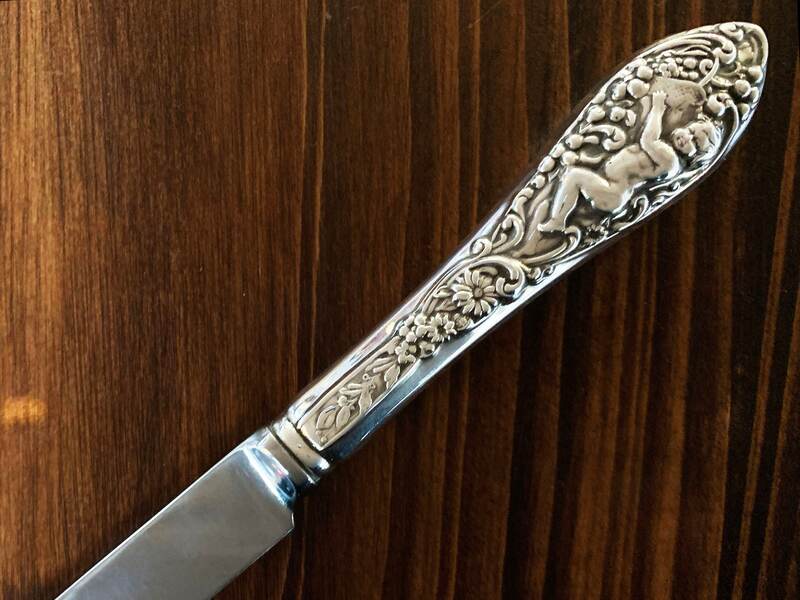 Today, the company is known for their exquisite and collectible craftsmanship.